First of all, we're not equipped to perform major repairs on vessels while on the Great Loop. That said, we possess decades of hands on experience in boat repair and maintenance. Leaky windows, rotted wood, soft decks, cracking teak deck seams, peeling varnish/paint are time consuming problems. Therefore, if you'd rather not work on your boat we're your answer. Maybe you're not sure how to find potential problems before they become major, expensive concerns. Hence keeping your boat in tip-top condition helps to maintain value. Likewise it takes time, but usually not a lot of money. We'll work with you to create your own, customized boat repair and maintenance schedule. From general cleaning and waxing to yearly brightwork renewing and system checks. For over 35 years we've devoted as much time as possible to restoring and maintaining boats of all sorts. Furthermore, we especially love the classic wood, but understand what it takes to maintain glass as well. Our passion is working with people who love boating and take pride in their craft. Rather than spend your time maintaining your boat, call today to see how we can help. Back in 1979, I took some time off to travel in a converted 1966 Bluebird school bus/RV and ended up in Delray Beach Florida taking a job at a small marina called Marlinspike. The passion was instilled. I spent 6 months there working on a variety of boats. 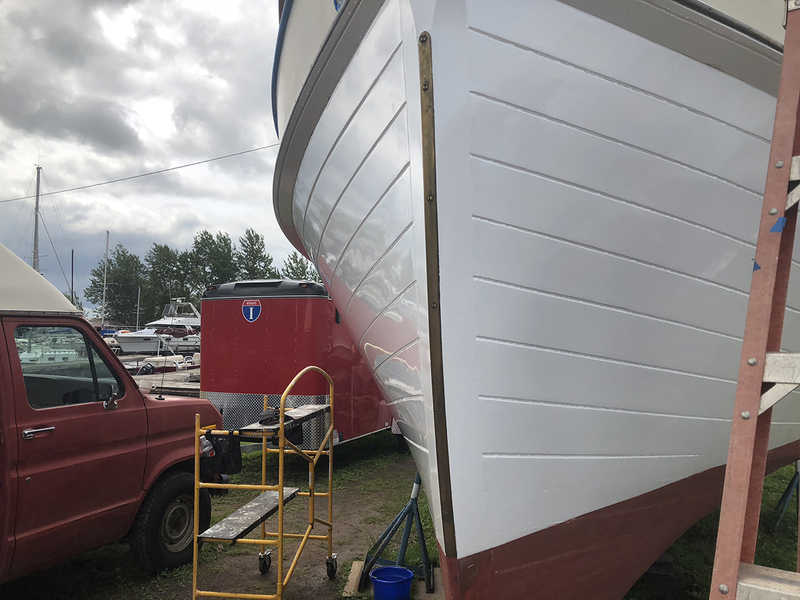 Started out by pressure washing, scraping barnacles, replacing sacrificial keels, bottom painting and eventually replacing planks, portlights, deck seams, etc. 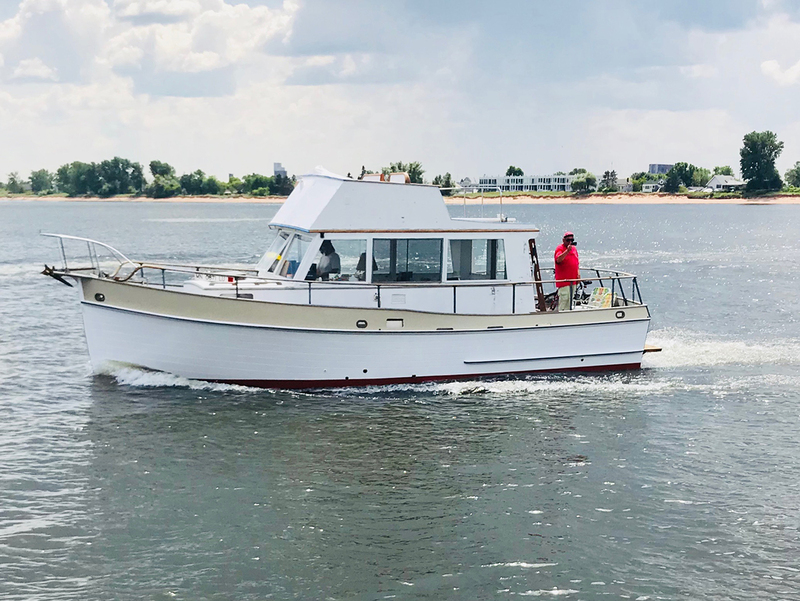 Since then I completely restored a '60 Owens 30' Sea Skiff Express, a '61 Chris-Craft 50' Constellation, a '73 Aquarius A23 sailboat, a '66 Columbia C26 MKI, with current projects a '72 Grand Banks 32 Classic and '76 Uniflite 36DC. 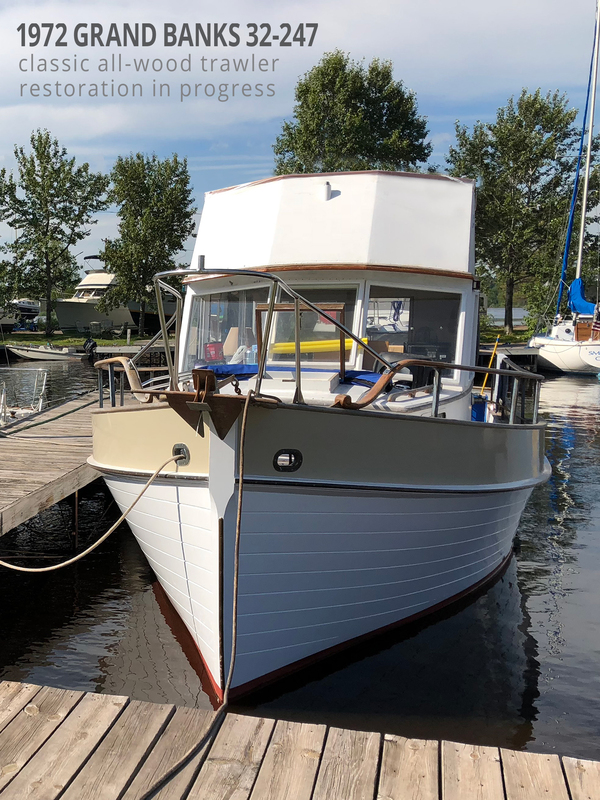 All of those great boats required work to get them right — hopefully not always replacing chines or planks - more often it's resealing port lights, rewiring electrical systems, or refreshing brightwork. Basic boat repair and maintenance usually goes a long way to being cruise ready. 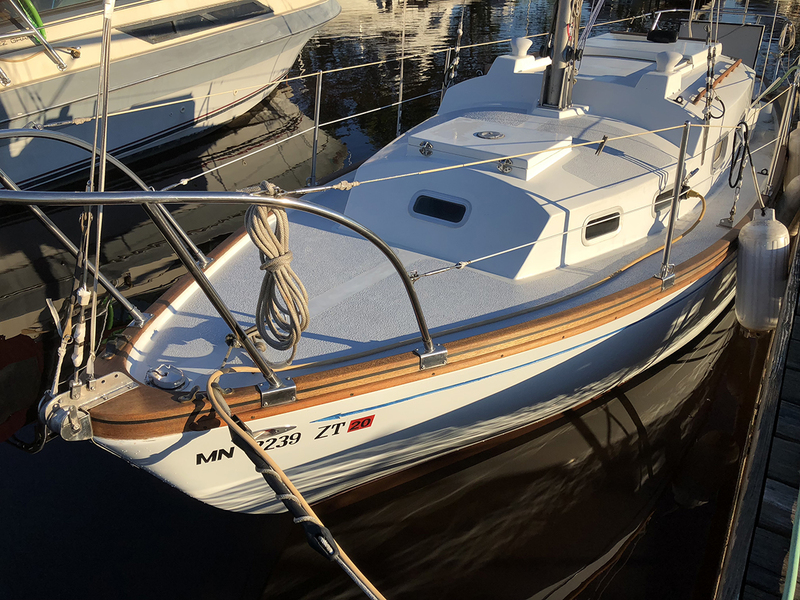 In semi-retirement, I aim to help owners keep their vessel in tip-top, bristol condition. The expertise I've gained over the past 4 decades is a valuable asset and I mean to share it with others. Restoring boats or traveling - haven't been out of the country in 8 years but, passport has been renewed. Hoping after the America's Great Loop journey, I'll be able to head back to the Netherlands to rent a canal boat out of Sneek. It's all about building relationships and trust. Over the years clients have believed in and count on me to take care of their marketing needs. I've been designing boat lettering, brochures amd catalogs for clients and friends for 30+ years. To find out what we can do for you give me a call, fill out the form on the Contact Page or e-mail me - you'll be glad you did.